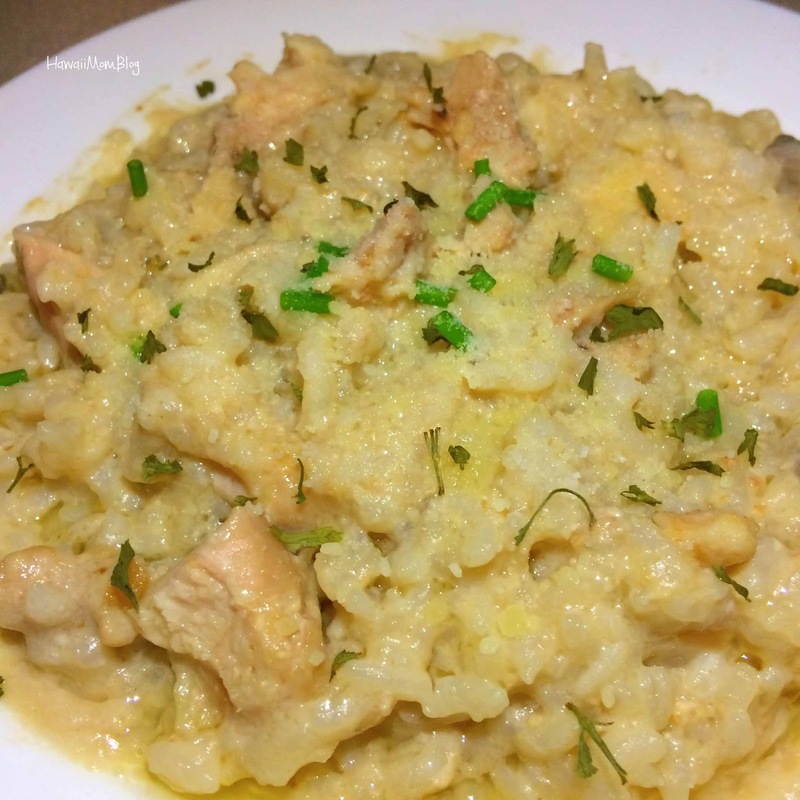 "Chicken Something" is a recipe I found years ago online, and I've made it several times. It's so easy to make, and the end result is so delish! Now that I have an Instant Pot, I decided to try making it in the pressure cooker instead of baking it in the oven like I usually do. I just placed all the ingredients in the Instant Pot, sealed it, set the timer, and let it do its thing. The dish turned out great - the rice was really creamy and buttery (reminded me a bit of risotto). I once again used frozen chicken, and the overall time (pressurize, cook, release) turned out to be about an hour. Whether you bake the chicken in the oven or cook it in the Instant Pot, it will turn out yummy! In a 9 x 13 inch baking dish, pour in melted butter. Season chicken with salt and pepper, and place in baking dish, atop rice. Sprinkle with onion soup mix, add mushroom soup, and pour in water. Place rice, chicken, salt, pepper, butter, soup mix, mushroom soup, and water (in that order) in Instant Pot. Set timer for 25 minutes. When done cooking, do a natural release for 10 minutes. Quick release any remaining pressure.